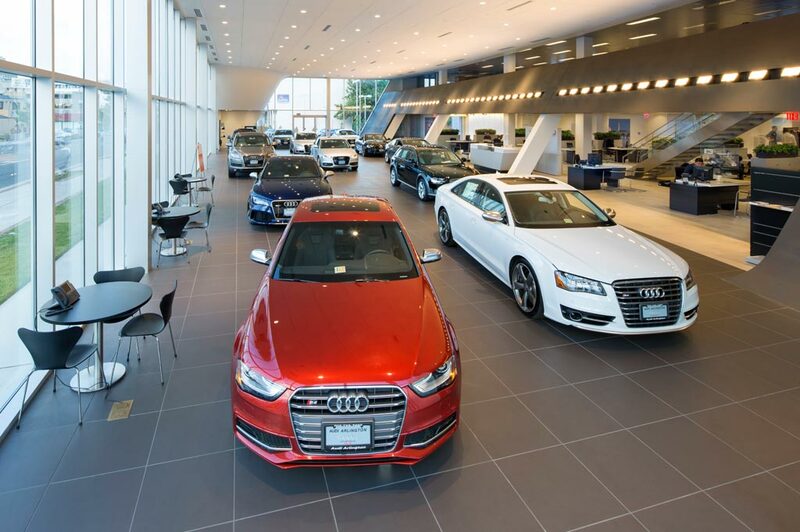 Audi Fort Wayne, IN treats the needs of each individual customer with paramount concern. Audi Fort Wayne is your Fort Wayne New, Used and Certified Pre-Owned Audi Dealer. We know you have choices, so allow us to demonstrate our commitment to excellence at Audi Fort Wayne. Your Fort Wayne, Indiana Audi dealer. We know that you have high expectations, and as a car dealer we enjoy the challenge of meeting and exceeding those standards each and every time. Allow us to demonstrate our commitment to excellence! Our years of experience staff is eager to share its knowledge and enthusiasm with you. We encourage you to browse our online inventory, schedule a test drive and investigate financing options. You can also request more information about a vehicle using our online form or by calling (888) 480-6495. Fort Wayne, IN 46804 we're also a very short drive from New Haven, Huntington, Decatur, Columbia City, and Auburn, Indiana. The new 2018 vehicle inventory at our Audi dealership in Fort Wayne offers a wide variety of New cars and New SUVs in various colors and packages with customization options available. Here at Audi Fort Wayne we promise to have the ideal car fit for your needs. Whether you are searching for a New Audi A6, perfect for commuting to work, a New Audi Q5 to have more cargo space or a luxurious inside and out New Audi R8, you will find it here in our stocked inventory selection. Looking for a quality pre-owned car, truck, or SUV that fits your personal budget? Check out our used inventory selection at Audi Fort Wayne, where you'll find dozens and dozens of cars and SUVs, including a selection of certified pre-owned models. Getting the brand new set of keys to your new or pre-owned vehicle is just the beginning of the journey at Audi Fort Wayne. Our Audi service center in Fort Wayne is the best place to get your Audi's fixes and routine maintenance it needs. Easily fill out our online service form to quickly and conveniently schedule your service. Browse our service specials to save on your next visit. It's easy to customize or upgrade your Audi through our auto parts center in Fort Wayne. Audi Fort Wayne also carries a large variety of accessories for your vehicle. Whether you decide to buy or lease, the Finance Center at our Audi dealership in Fort Wayne has an experienced team of professionals ready to help you through the entire process. You can apply for financing from your own home, office, or just about anywhere else.